To the right are a couple of the signs outside of the Touraine Hotel. This Oakland hotel looks like its seen better days. 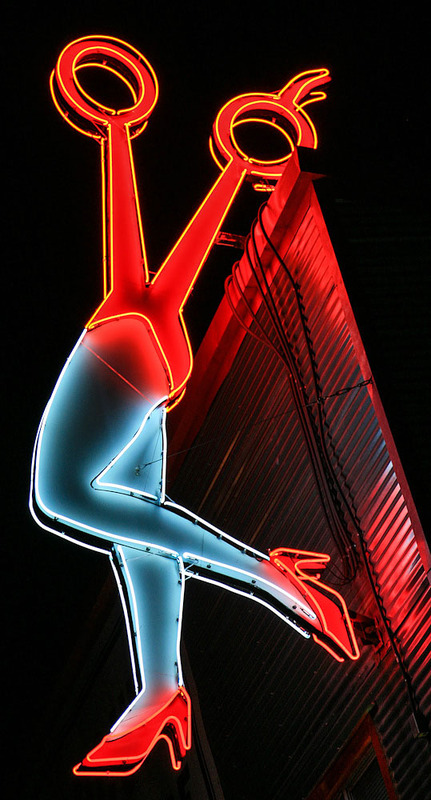 The Hotel Del Rio in Rio Vista sports a rather eye-catching neon sign, complete with a lit up martini glass. 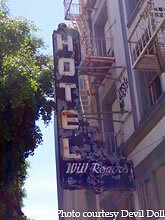 Here's a shot of the Will Rogers Hotel in Oakland. Check out the marquee and the fire escapes that look like they came straight from a movie set. 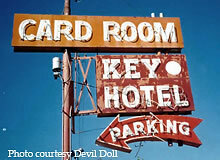 Here's an old vintage hotel called the Key Hotel located in Emeryville, CA. The signage surrounding this place looks like they were once neon. This hotel also prominently features its club room and card room on site. At least it used to. The Key Hotel has been demolished as Emeryville tries to maintain its image as a high-tech city with redevelopment projects galore. The Metropolitan Hotel in San Francisco still features its streamline marquee out front pointing the way to the hotel lobby. The Commercial Hotel is located in Stockton, CA.